Finally the boys are back at school. Does anyone else think that was a really long two weeks, or is that just me? 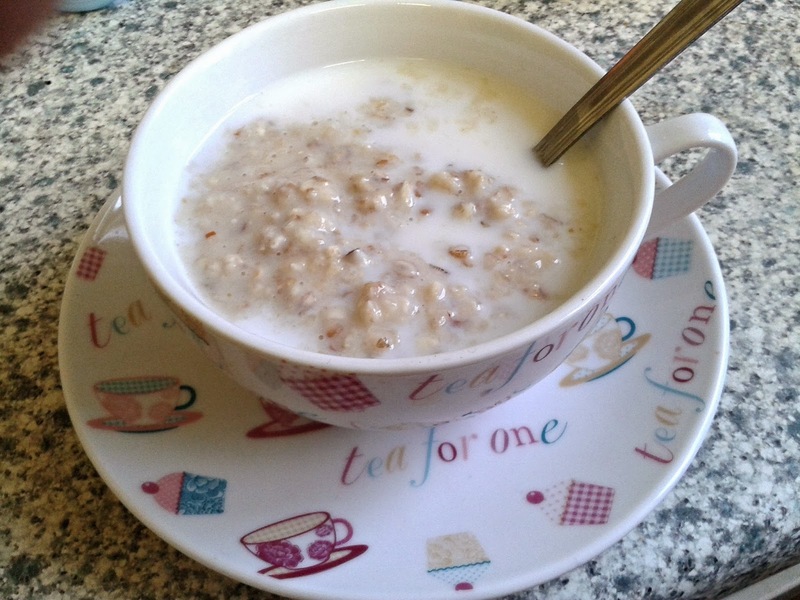 Today I've started my day off with Special K Multigrain porridge with honey and almonds, and to cut through the sweetness I've topped it off with a little milk. 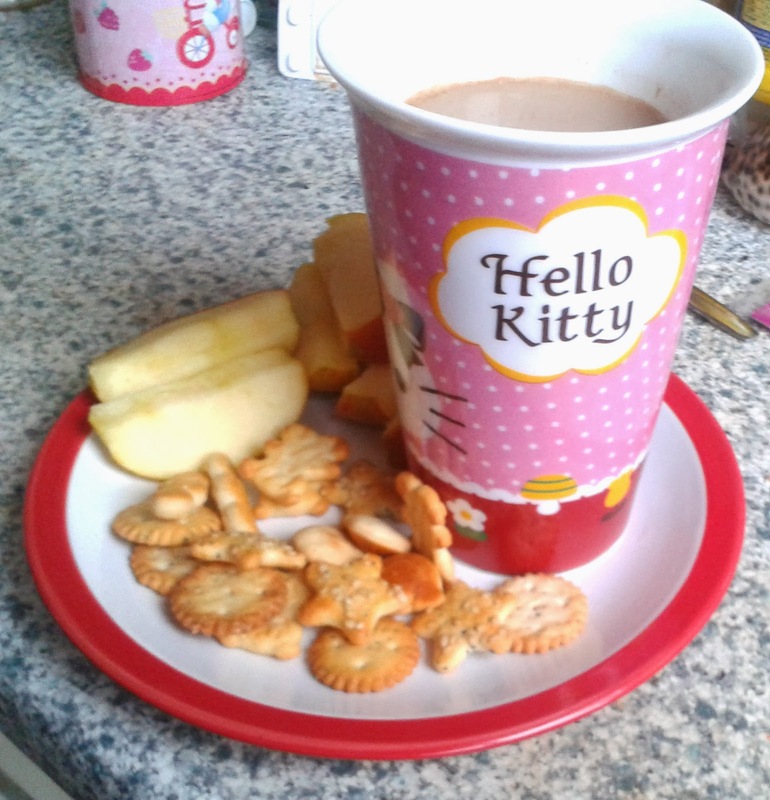 Lunch is leftovers from last night's tea. 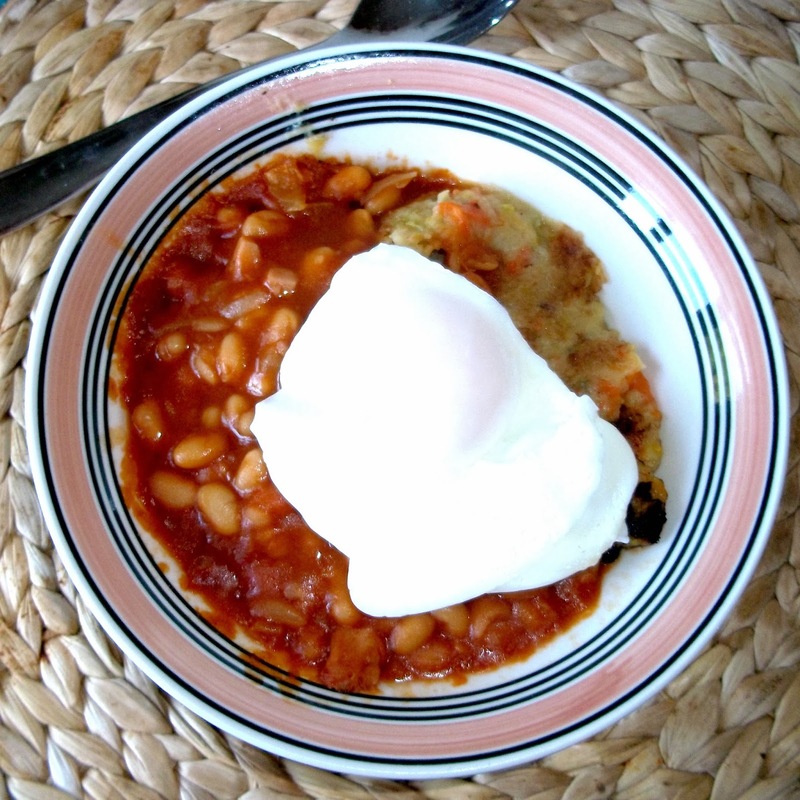 Bubble & squeak, made with leftovers from the Sunday dinner, and Boston-style baked beans, a tin of baked beans souped up with the little gammon we had left, a finely diced onion and some bbq sauce. I have topped this with a poached egg. Not an elegant meal, but a tasty one! I had a bit of a run around in the afternoon doing chores and the school run, well I've been told the boys need to be collected after school as well as taking. 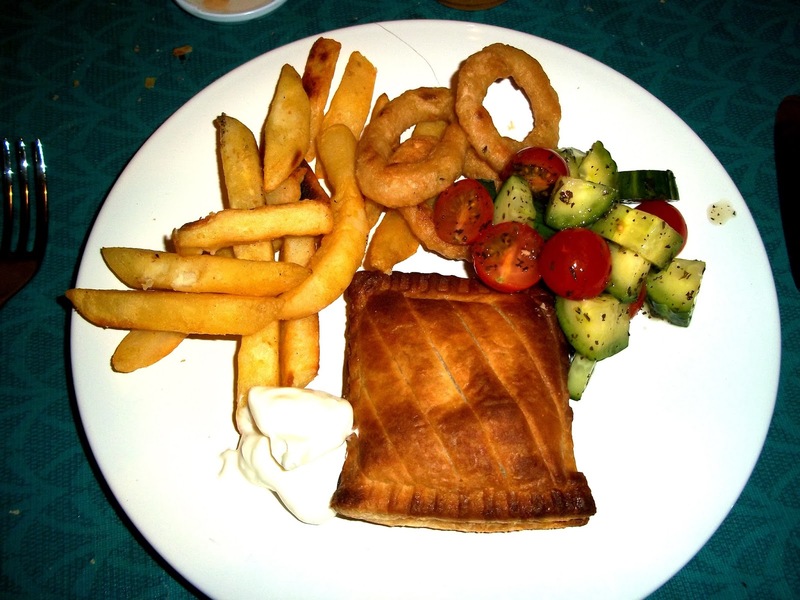 Tea was a quick fuss free affair of Chicken Tikka Bake, with chips, onion rings and a tomato & cucumber salad. 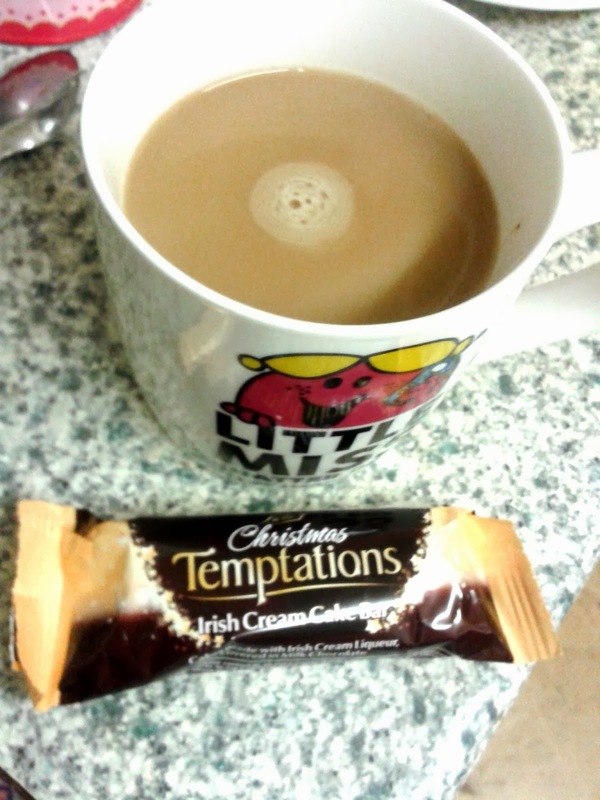 I rounded the day off with a coffee and Irish Cream cake bar, while watching the Taste.